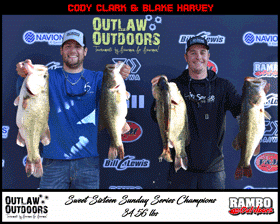 Clark and Harvey absolutely blew away the rest of the field on Sunday with their impressive stringer of 34.56 pounds. The pattern leading up to the tournament seemed to be finding a group of fish and camping out there all day. That same strategy proved to be true for Clark and Harvey. The team sat in one spot all day and used a jig with a V&M Wild Craw black/blue trailer to catch the majority of their stringer. They finished using a Sixth Sense C10. Their magical spot was in 15-20 feet of water. They toted home a hefty check for $2,827. 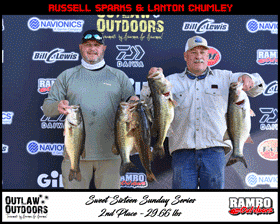 Russell Sparks and Lanton Chumley settled for second place. Their 29.77 pound stringer earned them $2,622. Their fish were caught in a similar manner as Clark and Harvey. Once again, 15-20 feet of water was the proven depth and patiently sitting on one spot was the key. Sparks and Chumley dead sticked a stick bait around grass lines. 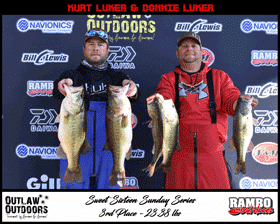 Wrapping out the rest of the top five were the team of brothers - Kurt and Donnie Luker with 23.38 pounds and being rewarded with $2,427 for their day. 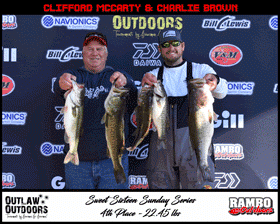 Fourth place paid $2,022 to Clifford McCarty and Charlie Brown for their stringer of 22.45 pounds. 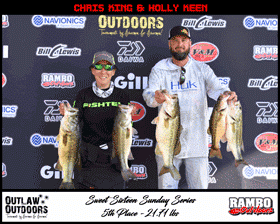 Fifth place went to the coed team of Chris King and Holly Keen with a nice 21.71 pound sack anchored by Holly's big bass. King and Keen won $1,639. The Sweet Sixteen Sunday Series consists of 3 regular season events and ending in a championship on March 31. The championship is guaranteed to pay $5,000 to the winner. 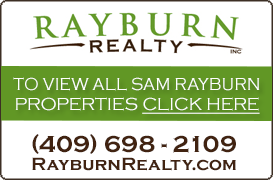 To qualify for the championship, a team must fish two of the three regular season tournaments. 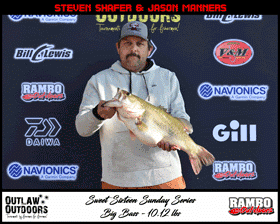 If you were one of 176 teams that fished Sunday's tournament, you are half way to being qualified already! There is already $2,640 added to the championship just after one event.